Proteasomes are protein complexes that are located in human and animal cells. Forming part of the quality control pathway for proteins, they are responsible for degrading the body's own proteins, in addition to proteins from bacteria and viruses. During the degradation process, proteins are broken down into shorter sections. Certain sections (epitopes) are translocated through the cell wall, and presented at the cell surface like tiny flags. This tagging allows the immune system to recognize foreign proteins, which are subsequently attacked and destroyed. The research, which was conducted at Charité's Institute of Biochemistry under the leadership of Dr. Michele Mishto in the Group of Prof. Dr. Peter-Michael Kloetzel within the BIH research project ,Targeting somatic mutations in human cancer by T cell receptor gene Therapie', involved the use of a new technique for mapping the surfaces of cells. Using this technique, the researchers identified thousands of entities known as 'spliced epitopes'. Spliced epitopes are made up of two different fragments, which originate from different sections of the same protein and combine to form a new amino acid sequence. "While we were aware of the existence of these combined epitopes, we always considered them to be rather rare," says Dr. Michele Mishto. "However, our results suggest that they are very frequent and are a key element in the immune response. Finding out their exact function and mode of operation may change our understanding of the immune system." 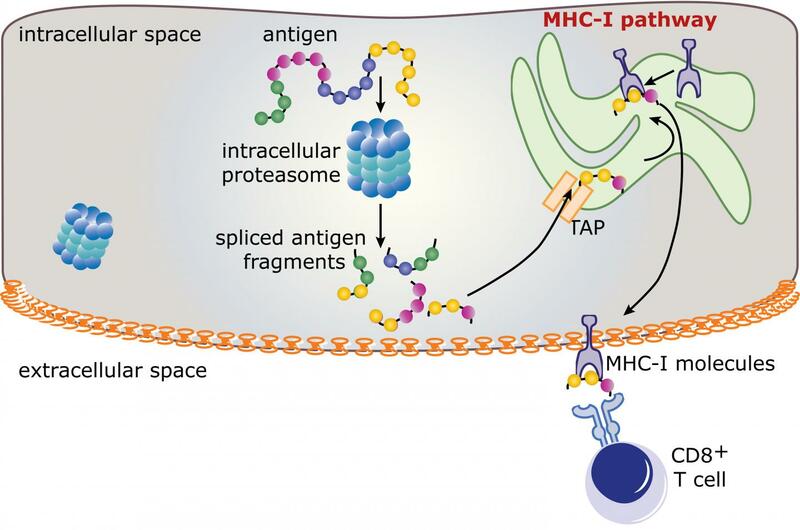 Dr. Juliane Liepe, the study's first author and researcher at Imperial College London, adds: "High numbers of spliced epitopes provide the immune system with additional options when identifying and fighting pathogens. However, there is also a risk of more errors occurring, such as when the epitopes produced from pathogens are identical to some of the body's own epitopes." This interpretation of results may influence our understanding of autoimmune diseases, such as diabetes and multiple sclerosis, which are characterized by the immune system mistakenly attacking the body's own tissues, and could open new opportunities for the development of vaccines and anti-cancer therapies. *Juliane Liepe, Fabio Marino, John Sidney, Anita Jeko, Daniel E. Bunting, Alessandro Sette, Peter M. Kloetzel, Michael P. H. Stumpf, Albert J. R. Heck, Michele Mishto. A large fraction of HLA class I ligands are proteasome-generated spliced peptides. Science 21 Oct 2016. Vol. 354, Issue 6310, pp. 354-358. doi: 10.1126/science.aaf4384.